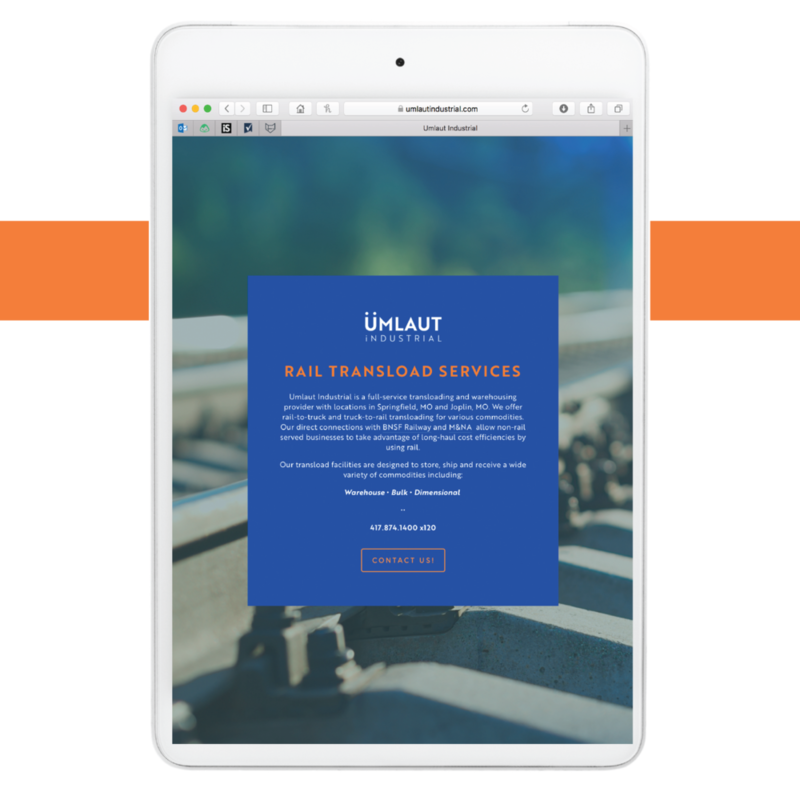 Ümlaut Industrial is a full-service transloading and warehousing provider located in Springfield, Missouri. The direct connections with BNSF Railway at two different sites — above and below ground — allow non-rail served businesses to take advantage of long-haul cost efficiencies by using rail. For this project, candid named and branded the new transloading company. Playing off the owners’ German heritage, the name Ümlaut Industrial was selected. The branding is clean with a complementary color palette that is vibrant and saturated. The mark combines the “U” of Ümlaut and “I” of Industrial.